New Optical design, uniquely optimised for the presbyopic eye. 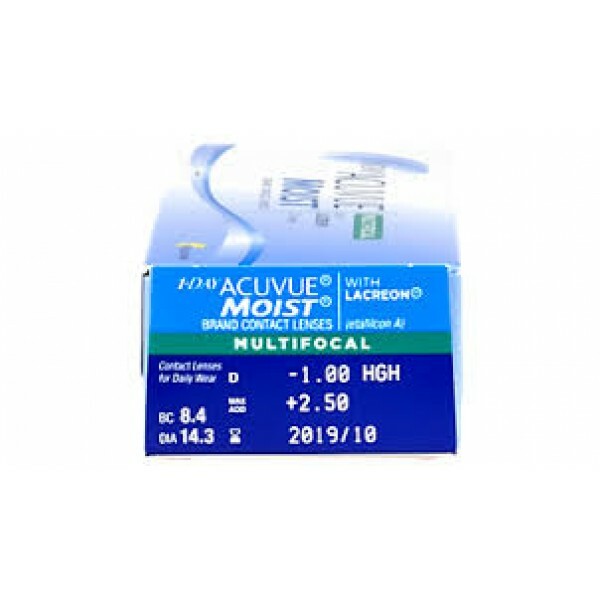 Created with a unique aspheric centre-near design for the presbyopic eye, 1-DAY ACUVUE® MOIST Brand MULTIFOCAL is the FIRST AND ONLY contact lens optimized to address the natural variation in pupil size according to age and refractive power for a superior vision experience. Research has shown 94% of patients were successfully fit with two pairs of lenses or less. Minimize chair time and maximize fit success with new 1-DAY ACUVUE® MOIST Brand MULTIFOCAL. 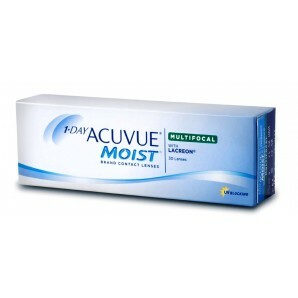 Now you can continue to care for your vision for the years to com. 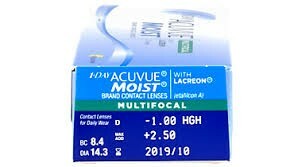 PLEASE NOTE: Low Add power from +0.75D to +1.25D (spectacle Add); Mid Add power from +1.50D to 1.75D (spectacle Add) and High Add power from +2.00D to +2.50D (spectacle Add).